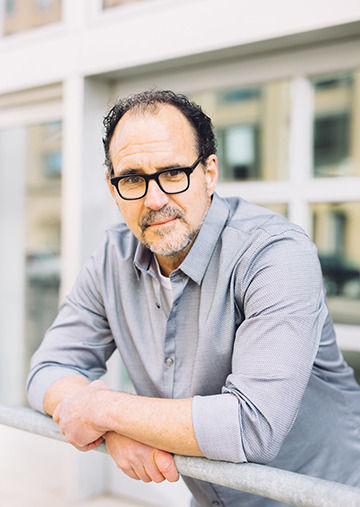 When theologian Greg Boyd addressed the question “Is God to Blame?” at Samford University Oct. 12, the timing seemed uncanny. His address, part of Samford’s Holley-Hull Lecture Series, followed weeks of high-profile human suffering, ranging from extreme weather disasters to a mass shooting, with countless personal tragedies in between. But, of course, the problem of evil, and God’s role in it, is always current. Boyd said it results not from creation, but from corruption of creation, and not from God’s will, but from God’s generosity in allowing humans an irrevocable free will of their own. Boyd often referred to the Holocaust as an example of incomprehensible suffering on a massive scale, but he also addressed the everyday suffering that leaves many Christians wondering if God is to blame. He said many Christians offer clichéd counsel meant to be supportive or hopeful, but which reflects a conviction that if God is good and all-powerful, then even the most horrifying events must be good. “If that’s the case,” Boyd said, “there is no evil,” but only, as some theologians conclude, a flawed human perspective. Boyd observed that such responses can actually compound suffering, as in the case of a woman who struggled for years to become pregnant, finally received the miracle she prayed for, then lost her baby during childbirth. When she asked, “Why would God do this?” a theologian answered that God might be trying to teach her a lesson. Confronted by the image of such a cruel God, she lost her faith as well as her baby. The Howard L. and Martha H. Holley Lectures: New Testament Voices for a Contemporary World honor William E. Hull, former Samford provost and distinguished religion scholar.